Tammy Stout, Realtor with Lake Murray Sales in Gilbert SC. I was born in Columbia, South Carolina and raised here on Lake Murray. I have a Bachelor degree in Business from the University of SC. I am a member of the Central Carolina Realtors' Association. Prior to becoming a Licensed Realtor, I spent 10 years managing a multi recreation facility in Atlanta Georgia. I received my real estate license in 2010. 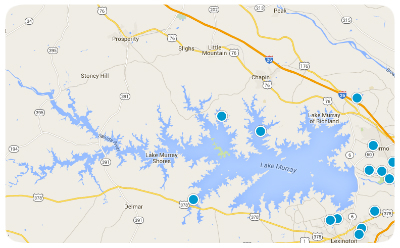 Joined Lake Murray Sales in 2011, where I have been specializing in the selling of property on and around Lake Murray. My clients value my knowledge of the area, professionalism and business experience I am excited about the selling of real estate and will continue to educate myself on the changing real estate market. I am willing and able to assist you with your real estate needs on and around the Lake Murray area. Listing courtesy of Lake Murray Sales, Llc. Active Antique Mall in quaint town of Batesburg-Leesville. We recommend if you are looking for a home on Lake Murray, call Tammy Stout at Lake Murray Real Estate. We cannot say enough nice things about her. I’m sure we were not the easiest buyers she ever worked with but I can assure you she was the best and most honest agent we have ever dealt with. Her knowledge of the Lake and the homes available for sale was amazing. She patiently worked with us until we found a home where we knew we would be happy spending our retirement years. After we signed the sales contract, she continued to help us with the little day to day items that we encountered before closing and supplied us with information that every homeowner new to the area needs to know. And we are excited to say we made a new friend. Thank you, thank you Tammy. I was most impressed with the efforts Tammy put towards selling the two parcels of land I "HAD" Even though the parcels were not going to be her biggest sale she worked perspective buyers like the properties had million dollar homes on them. Tammy was prompt to answer any questions that was asked of her. She was direct and to the point not to waste time that neither one of us had to spare. I would highly recommend Tammy to anyone looking to sell/buy a house or parcel of land. Tammy is THE BEST! After trying unsuccessfully to sell our home, we were referred to Tammy as an agent who could get results and she did. Only two showings and we had an offer. She truly is “the lake lady” specializing in lake property. She is personable, professional, and knowledgeable. Call her if you want results! We met Tammy following her response to an online inquiry about a specific house. On very short notice, she changed her plans to accomodate our schedule. Over the next few weeks she showed us a dozen or more houses, always making herself available for our schedule. She provided good insight into the houses themselves as well as the areas in which they were located. Tammy was a pleasure to work with, at the same time providing good and timely communication. 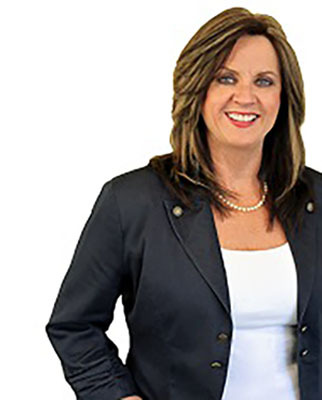 We would not hesitate to call on her for our future real estate needs in the Columbia area. Lake Murray was one of several lakes we considered for our retirement and we are so glad that Tammy Stout was our agent. Living in Texas and searching for a new home in SC was challenging, but Tammy went out of her way to accommodate our schedule and to understand our unique needs and preferences. Out of five lakes we considered and visited, Tammy was the only agent who took us out by boat so we could get a better feel for the lake, what it has to offer, and ultimately see the home we bought. She was great to work with and helped provide the contacts and resources needed to close the deal. Tammy is a fabulous realtor. She worked tirelessly with my husband and myself to help us located the perfect lake home for our family. I never realized until this process how difficult of a job it is to be in real estate. Tammy was on call more than a doctor, gave advice with better tact and decorum than a therapist and drove us around the lake, at her expense, more often than Is possible to count. She is the best. When the inspections came about Tammy moved her schedule to suit the needs of the inspectors, us and the mortgage company. Once we got through that, the whole lending process was new to us and she helped to navigate the waves of paperwork to get it done. She logged more calls on our behalf and drove more miles than anyone should be asked to go. There are lots of realtors out there but if you are looking for a realtor that actually cares and views your dream house as more than just another job, then please call Lake Murray Sales and ask for Tammy. Not only did she help us find the perfect home she also became a family friend. Lake Murray Sales worked with us to find our dream home on the lake. Our realtor, Tammy Stout, exceeded our expectations and we were very pleased with her knowledge and professionalism that she offered. The realty team was courteous and available whenever we had questions or concerns. We highly recommend them. Tammy has helped us buy and sell a couple of properties. She has always been so patient with us and great at keeping us informed at all times. We love our new lake home and we loved working with Tammy! There are so many things we would not have known about buying or owning a home on Lake Murray if we hadn’t been fortunate enough to have Tammy for our realtor. She loves the lake and it shows in her work. Between her knowledge and the administrative back-up she has in Quinn, we were taken care of every step of the way and beyond. Even when the process made me want to panic, Tammy was able to tell me how and why everything was going to work out - and it did. Our family couldn’t be happier! We had been looking for a longtime for the right location on Lake Murray with the right quiet deep water and within 15 minutes of my husbands work. We had made contact with several other agents, they didn't like our limited budget and they weren't helpful. We located this property and saw her sign in the yard.We called and she could be at the property in 30 minutes. She was spot on.Super helpful and even had remodeling ideas. She has suggested local tradesmen that have been both professional and fair. We will share Tammy Stout's business card with everyone we know. Tammy is a Realtor's realtor and the best of the best. Tammy and her assistant have been extremely accommodating and helpful in every way possible during the purchase and can't thank you enough!